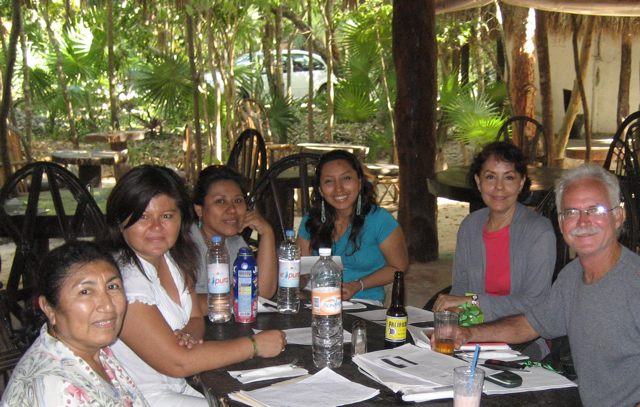 U.S. Poets in Mexico was founded in 2008 by artist and poet Sheila Lanham. USPiM is evolving! Going forward we will sponsor Residencies for poets and collaborative projects between U.S. and Mexican poets in Mexico. Our projects will expand, so stay tuned! Since 2009, the USPiM Poetry Workshops week has attracted poets who are creative writing professors at colleges across America, published poets, MFA Creative Writing graduates or candidates, undergraduate poets, and poets wishing to brush up on skills or connect with their peers. We have invited a few regional poets to join us in order to integrate our event with local poetry communities. USPiM has also sponsors free public readings by our faculty, guests, and contemporary Mexican poets. 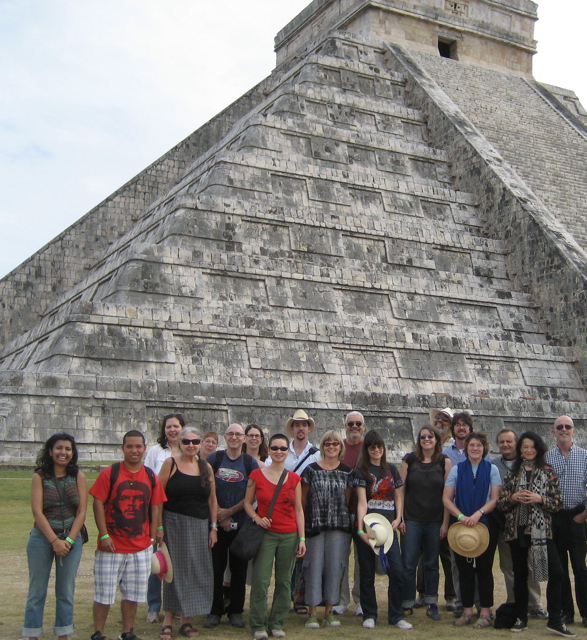 USPiM has offered excursions to archaeological sites, ecological sites and other cultural venues in Mexico - going beyond the classroom - so that poets established a sense of place and became familiar with Mexican culture. We are fortunate to share a love of poetry with Mexico! ***Thanks go out those who have helped USPiM provide our workshops over the years: Fernando de la Cruz (Merida), Zureya Esma (Merida), Jonathan Harrington (Merida), Marc Nasdor (NYC), Laurie Price (Oaxaca), Nandi Comer (Detroit), and thanks to all of our wonderful venues in Mexico! Photo: USPiM Mérida, January 2009 Conference: Briceida Cuevas Cob, a Mayan language poet from Campeche, receives a hug from USPiM faculty member, poet Bob Holman, who founded the Endangered Language Alliance with linguists Daniel Kaufman and Juliette Blevins the following year.